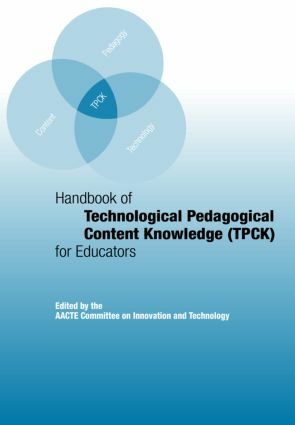 The Handbook of Technological Pedagogical Content Knowledge for Educators is simultaneously a mandate and a manifesto on the engagement of technology in classrooms based on consensus standards and rubrics for effectiveness. As the title of the concluding chapter declares, "It’s about time!" The American Association of Colleges for Teacher Education (AACTE) is a national, voluntary association of higher education institutions and related organizations. Our mission is to promote the learning of all PK-12 students through high-quality, evidence-based preparation and continuing education for all school personnel. For more information on our publications, visit our website at: www.aacte.org. Part I What is technological pedagogical content knowledge (TPCK)?